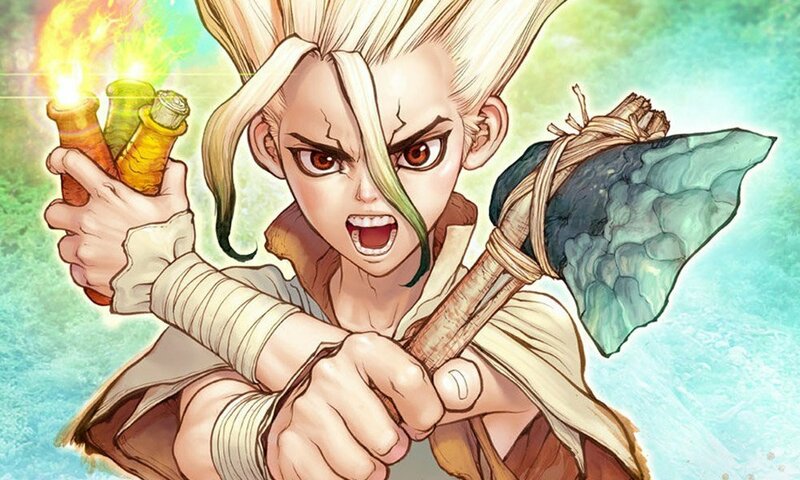 After a long wait popular science fiction Shounen written and illustrated by Riichiro Inagaki’s Dr.STONE has been greenlit for an anime adaption. The announcement was made official with the release of Weekly Shounen Jump issue #51 with being on cover page and a double page spread. The broadcast will begin in summer 2019 giving competition to other popular Shounens like Demon Slayer,Attack On Titan Season 3 Cour 2 and Boku no Hero Academia Season 4. Typical student Taiju tells his science-loving friend Senku that he is finally about to announce to Yuzuriha, that he has secretly been in love with her for five years. Meeting under a camphor tree on the school grounds, just as Taiju is about to confess, a bright light appears in the sky. Taiju pushes Yuzuriha to the tree to protect her, but the light suddenly petrifies all of humanity, with every human on Earth turning into stone. Most humans begin to lose their consciousness while all traces of civilization decay, but Taiju keeps his alive as the years progress by his motivation of freeing both himself and Yuzuriha. Eventually, Taiju breaks free from the stone and finds a message carved into the tree that leads him to discover the Senku has also escaped from stone, keeping his consciousness alive by counting how long he has been petrified. Thus Taiju learns that the date is now October 5th, 5738. The two boys struggle to revive humanity after a mysterious crisis has left everyone in the world turned to stone for several millennia. 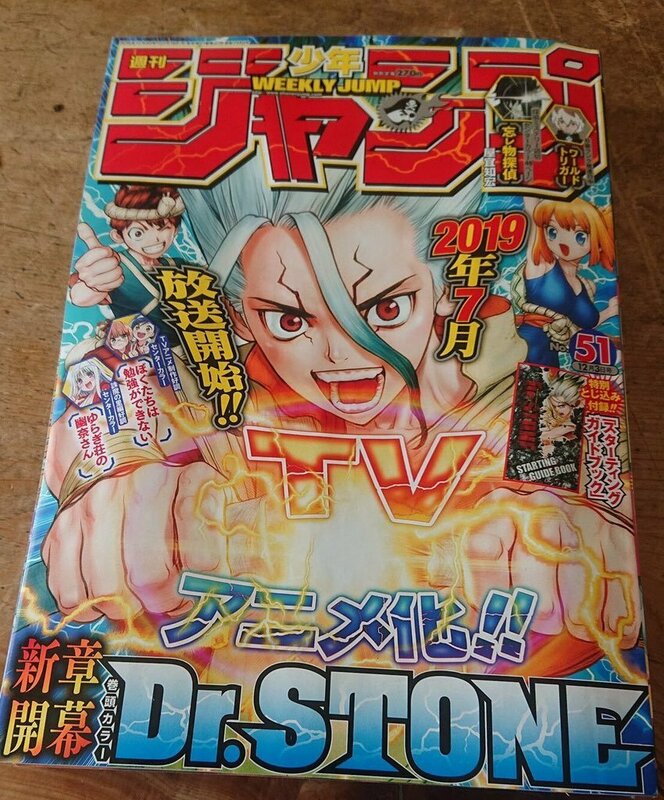 Dr. STONE is a Japanese manga series written by Richiro Inagaki and illustrated by Boichi known for his previous work Sun Ken Rock serialized in Weekly Shōnen Jump since March 6, 2017.